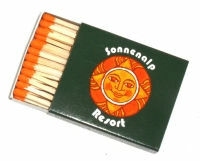 We carry six standard styles of box matches. We offer an almost endless combination of custom sizes with extras like Foil Board, Laid Paper, or Black Sticks. You can even select from 16 custom tip colors plus plus 2 premium colors. 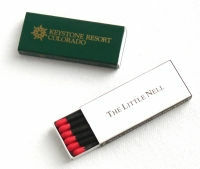 Just give us a call and and let our experienced staff help you create the perfect design for your custom box or book matches. All we need is your logo and company information and we can help you get started right away. 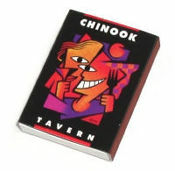 Box Match base prices include 2 colors on standard board. Choose from 16 custom tip colors plus Gold and Silver premium colors. 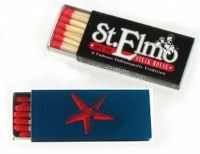 Click here for more information on match tip colors, premium colors and match stick colors.